Humdinger Lures: Tie One On! 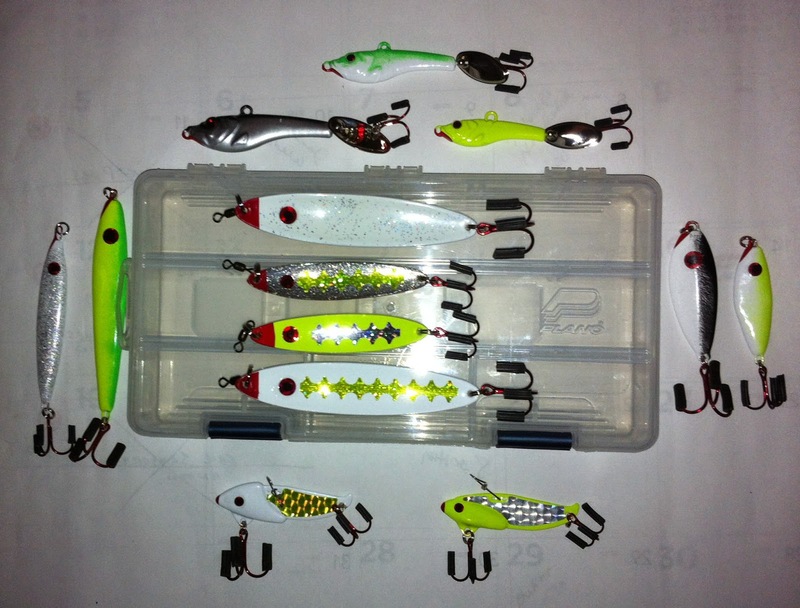 Order 12 Lures And Receive One Lure FREE! Make sure you select the correct size on each lure ordered. 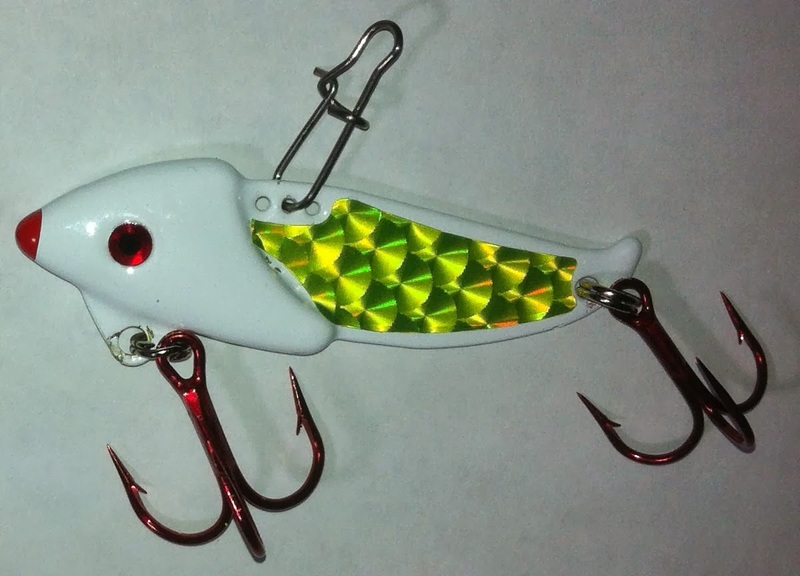 Choose only one color per lure on each lure ordered. If you experience any problems while ordering do not hesitate to contact me via email, phone, and other ways, all of which are located on the WAYS TO ORDER page. A huge improvement on a classic design. Two different blade sizes for twice the flash and a different sound pattern the fish have not experienced before. The two blades spin effortlessly on the fall, retrieve, or with any movement in the water, creating the illusion of escaping bait fish. Designed from a suggestion by one of my customers! 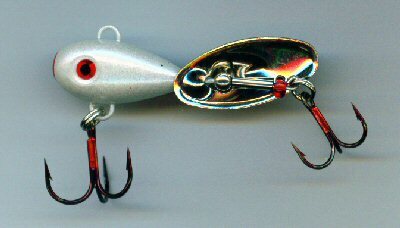 This Humdinger has two hooks and gets those fish that hit at the spinner! A great idea! The tail wire is longer and has a spacer between the blade and the tail loop. Another Eagle Claw Red Anodized Treble Hook is attached to the rear loop. Thus, a two hook Humdinger. The spacer is added to eliminate blade and rear hook problems. Some fishermen are tying flashabou and/or marabou to the rear hook. A super deadly combination. Burn it across the top, troll it at mid-depth, hop, drag or slide it across the bottom or jig it straight up and down. The Hum-Bug works well at all levels. 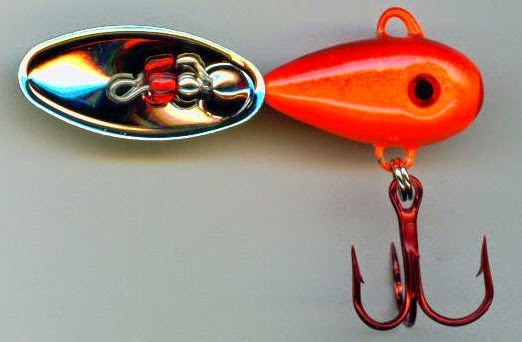 Try jigging the Hum-Bug like you would a slab and hold on. 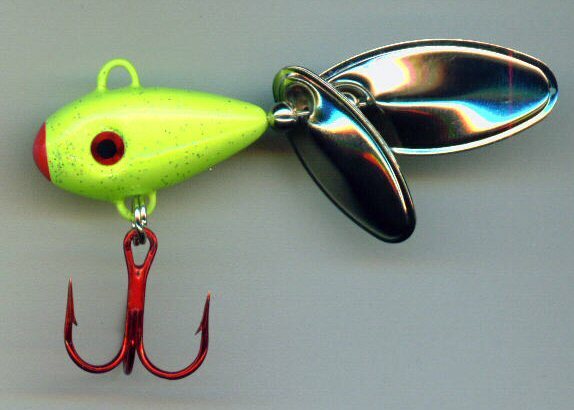 The fish attracting flash and vibration of the spinner blade gets the "big-uns" attention. 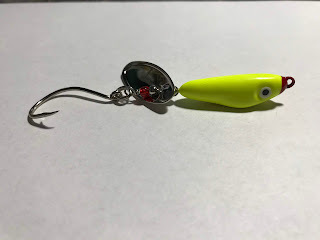 The Hum-Bug was designed not to replace the regular Humdinger but to enhance the effectiveness of the tailspinner type lures in all fishing situations. They won't replace a buzzbait, crankbait, jig, worm or slab. However with the inline spinner blade they can be productively fished the same way but with a "new look" the fish haven't seen. gets the fish into your cooler faster. Jig it like a slab and hang on! Traditional Slabbing Presentation: Tie your line to the nose eyelet and move the lure vertically to imitate and injured baitfish. The unique addition of a blade to the H3 Spinner Slab is something the fish have not seen. Do nothing: Drop it to the bottom, reel up a crank or two, and wait. Works great when fish don't want a jigging action. Slow Troll: SLOW movement with your trolling motor or just drifting with the wind. Count Down: Find the holding depth of the suspended fish with your fish finder, cast, count down to the desired depth, and start your retrieve. Bottom Bump: Cast the H3 and hop it off the bottom. Try the "Do Nothing" method when you get close to the boat. Chunk and Wind: Cast and retrieve like a crank bait. Burn It Back: Cast the H3 and retrieve as fast as possible. Any way you rig it, an H3 will attract the fish with its unique flash, vibration, and action. An inline spinner blade has been added for more visibility and attract-ability. Fish them as you would any slab, but remember that the slightest movement of the lure will spin the blade creating a flash and sound vibration the fish haven’t seen before on slabs. Try the shad shaped slab with a spinner blade for a different jigging action and lure profile for those deep running fish. 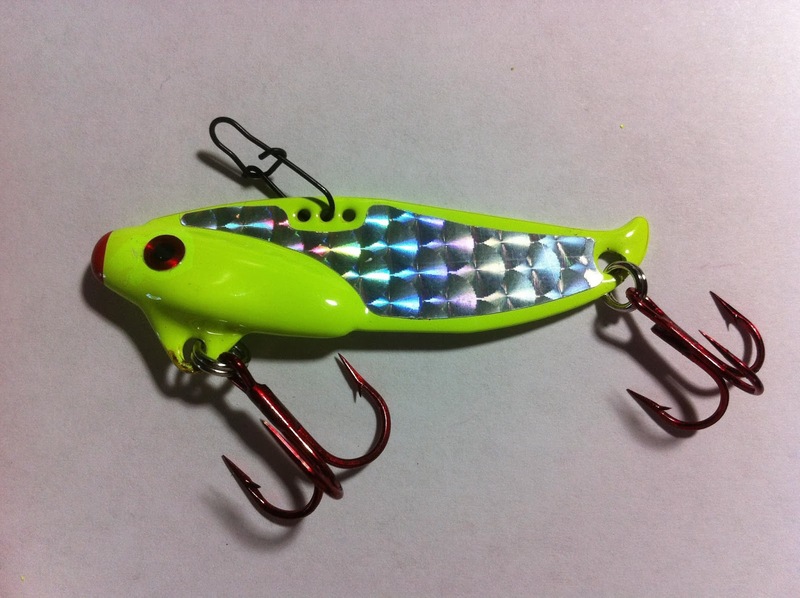 Try the shad shaped slab with a fluttering action that imitates wounded bait-fish. Add the H5 Flutter Slab to your arsenal for an additional advantage in your search for those deep running fish. Glow eyes and ultra violet coating. UV coating and glow eyes. Awesome flutter action for those deep Stripers, Hybrids and Large Mouth Bass. Deadly on Hybrids, Stripers, Blackbass and Sandbass. Just something about the vibration or oscillation of the blade bait that turns the fish on. Fish it either way or both on one cast!